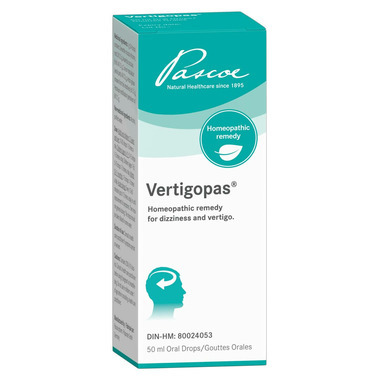 Pascoe Vertigopas is a homeopathic treatment of dizziness and vertigo. Directions: Adults and children 12 years and over: 10-30 drops 1-3 times a day, Children (ages 6-11): 5-15 drops 1-3 times a day; Children (ages 1-5): 5-10 drops 1-3 times a day; Infants (0-11 months): 1-5 drops 1-3 times a day. Caution: Consult health care practitioner before use if pregnant or breastfeeding. Do not use in children under 1 year of age before consulting a health care practitioner.